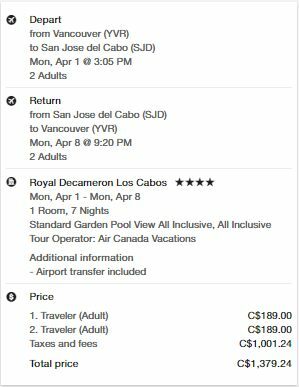 Air Canada Vacations has dropped the price of a 1 week all inclusive package (including flights, hotel, all meals, all drinks, and transfers) from Vancouver to the 4* Royal Decameron in Los Cabos, Mexico down to $689 CAD (per person) including taxes. The Royal Decameron Los Cabos has 4 circles on TripAdvisor with 45% of reviews rating it as Excellent. NOTE: The Royal Decameron Los Cabos is an adults only (18+) resort. The flights from Vancouver to San Jose del Cabo are with Air Canada and are non-stop both ways. Update 3/29 @ 10:30 AM PST - This deal has sold out. Update 4/4 @ 9:00 AM PST - April 11 to April 18 has dropped to $736/person. 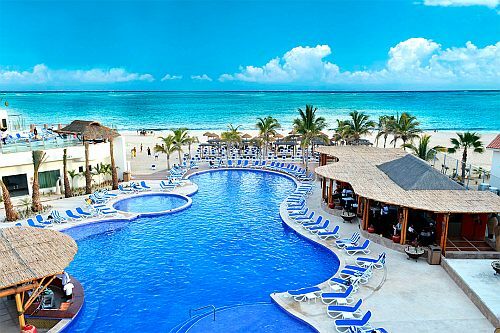 vancouver, yvr, mexico, sjd, los cabos, air canada vacations, north america, all inclusive packages, san jose del cabo and royal decameron los cabos.